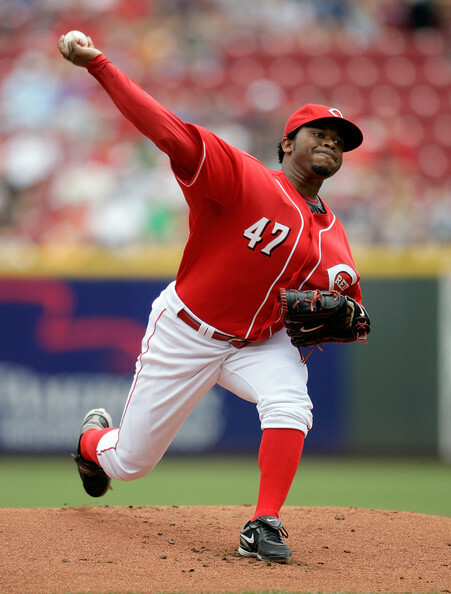 ← REDS ALERT 5-4-12: REDS VS PIRATES MLBTV FREE GAME OF THE DAY!!! Tonight the Reds played like we all knew they could. They dominated the Pirates in offense as well as pitching. First let us talk about pitching and another outstanding performance by the Reds ace Johnny Cueto who pitched a 1 run complete game with 4 strike outs, 0 walks with 7 hits allowed. 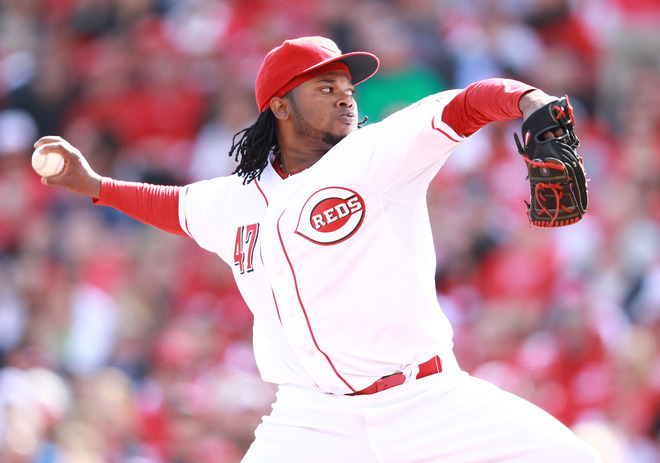 Cueto was straight out dealing out of the 110 pitches he threw 75 of them he threw for strikes (68%). Pittsburgh only run came off a Sacrifice fly that scored a runner from 3rd. Even the Cowboy (Jeff Brantley) joked its kind of funny seeing a run cross the plate on Cueto as we are so use to none ever happening. Cueto now improves to 4-0 with an amazing 1.31 ERA for the season. If the pitching wasn’t the only thing lights out for once the Reds offense matched the Pitching. With back to Back Homers by Cozart and Stubbs to another solos shot from Jay Bruce (who has now extended his hitting streak to 7 games). There were also key two out hits early on by the Reds which capitalized with 3 RBIs off of them. I wasn’t able to watch the game but I listen to Marty and the Cowboy call the game and according to the Cowboy the Reds hitting just seemed relaxed at the plate for a change and not struggling at the plate as in the past. This speaks volumes I think of the confidence that the Reds players have in Cueto. It’s as if they are saying our ace is out there and he is zoned in so lets go out there and just hit the ball because we have nothing to loose with Johnny on the mound. This was a great win for the Reds and a win that we as fans have been looking for. In short tonight the Reds finally played up to their Potential. Now lets hope we can carry this over and help Mike Leake who has been the weakest link so far in the rotation a month into the season tomorrow with a 6+ ERA. Time to rally REDs and Reds fans I believe we may have finally cracked that glass ceiling and produce that long winning streak we have been so desperately needing. This entry was posted in MLB, REDS and tagged CINCINNATI REDS, Jay Bruce, Johnny Cueto, Pirates, reds win. Bookmark the permalink.